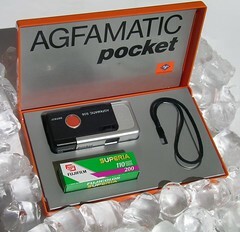 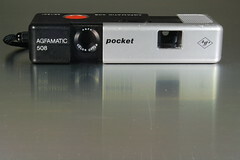 The Agfamatic 508 pocket sensor was a simple viewfinder camera made by Agfa for 110 film cartridges. 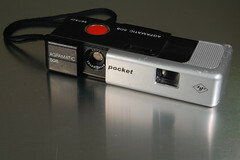 The camera body was its own case which protected the lens and viewfinder; it had to be pulled open for use and to advance the film to the next shot. 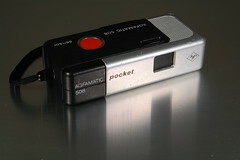 The shutter was released with the patented red Agfa sensor button. 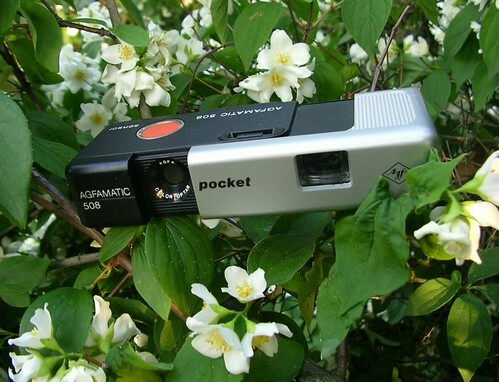 It was sold in a large orange plastic box.